Kavli Lecturer Ewine van Dishoeck (Leiden Univ. & MPI for Extraterrestrial Physics) is flanked by AAS President Debbie Elmegreen (Vassar College) and AAS Senior Vice-President Lee Anne Willson (Iowa State Univ.). 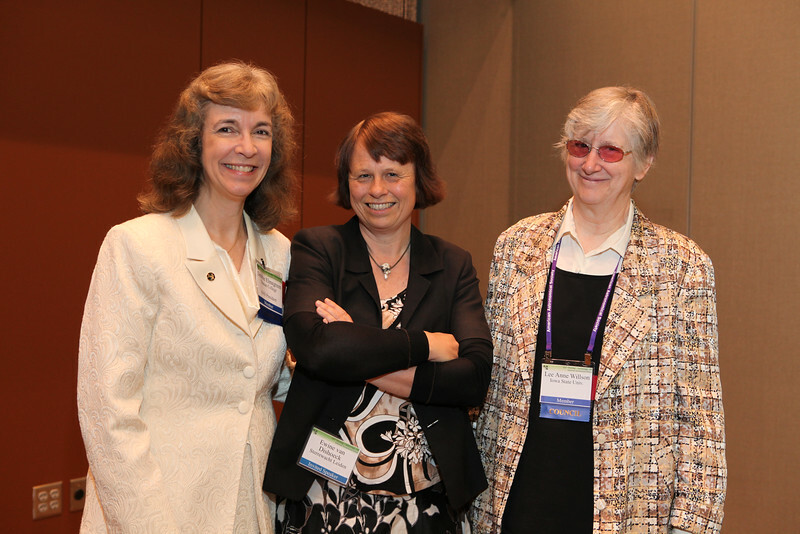 Van Dishoeck’s plenary presentation, “Laboratory Astrophysics as Key to Understanding the Universe,” helped celebrate the creation of the Laboratory Astrophysics Division (LAD). AAS photo © 2012 Joson Images.